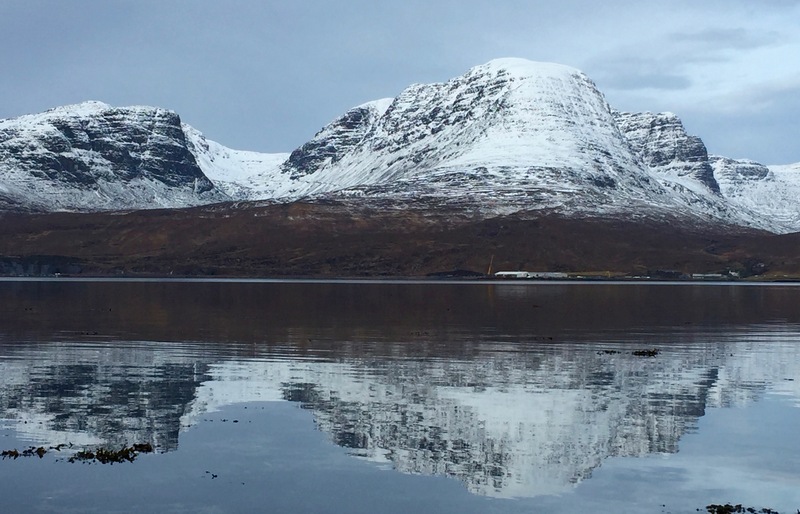 SAIS Torridon Blog » Bright morning, cloudy later, avalanches reported. Bright morning, cloudy later, avalanches reported. It has been a great morning here although the cloud began to drift in by the afternoon as there is “warmer” weather approaching from the West with the freezing level going above the summits for a short while. Some rain showers are expected this evening. Later tonight the freezing level will lower to about 750 meters and rain will fall as snow on the hills. 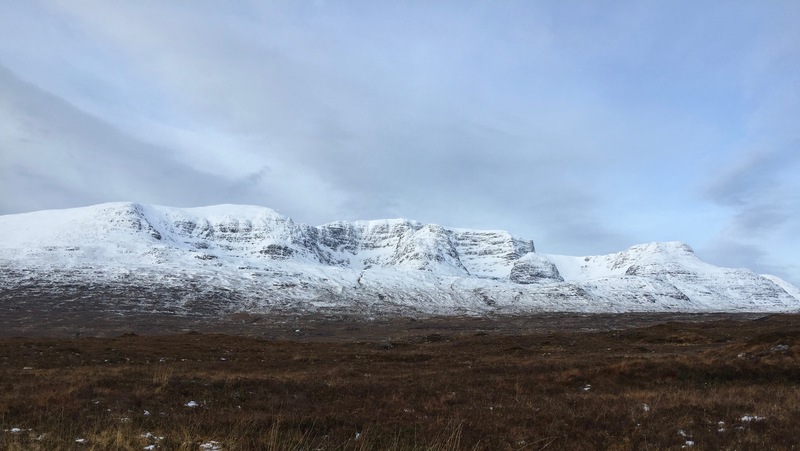 First thing this morning the hills were very white but as the day progressed the thaw was becoming quite obvious but there is a lot of snow down to 450 metres so a freeze thaw cycle will be beneficial to winter mountaineering conditions. 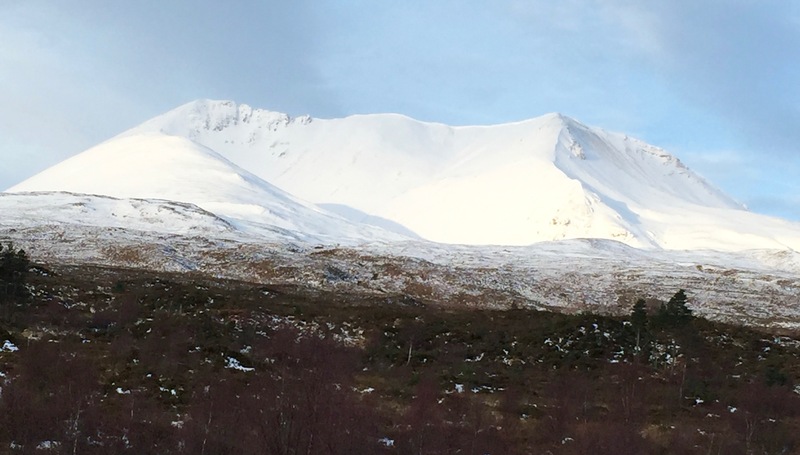 We have had some avalanche incidents reported and it seems that while the occasional ice axe has been lost as far as I know nobody has been hurt. Do please remember you can get avalanched on a Low and Moderates too! Today, I have seen a couple of releases my self, these were initiated by collapsing cornices – there was a lot of snow transportation last night giving some cornice growth and of course unstable windslab. We had some wet snow instabilities too, its actually pretty tricky for hill users right now as at road side levels there is no so much snow but as soon as you are up about 450 meters the snow is deep and soft, if you are sinking up to your knees, then that alone is telling us things that we need to consider. But back to the recent avalanche reporting. We really do appreciate people reporting avalanches so thanks greatly. You simply go to our web site where you can easily locate a section titled; “REPORT AN AVALANCHE”, just follow the simple enough step by step process. Obviously the more detailed information you can complete the better but if you do not have all the details, please report it anyway. We really appreciate it. Sugar nan Fhir Duibhe, Beinn Eighe this morning. 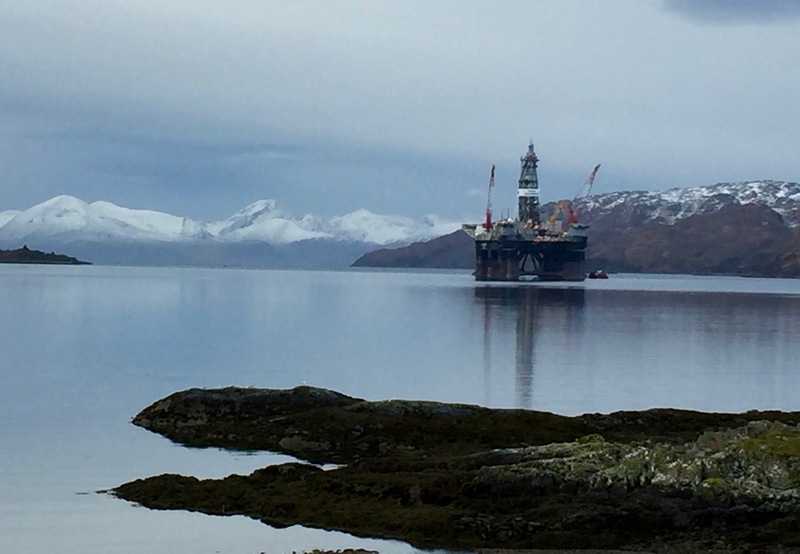 There is a Rig in at Loch Torridon and the hills behind are looking great .The Bealach na Ba road is closed with the gate firmly locked.